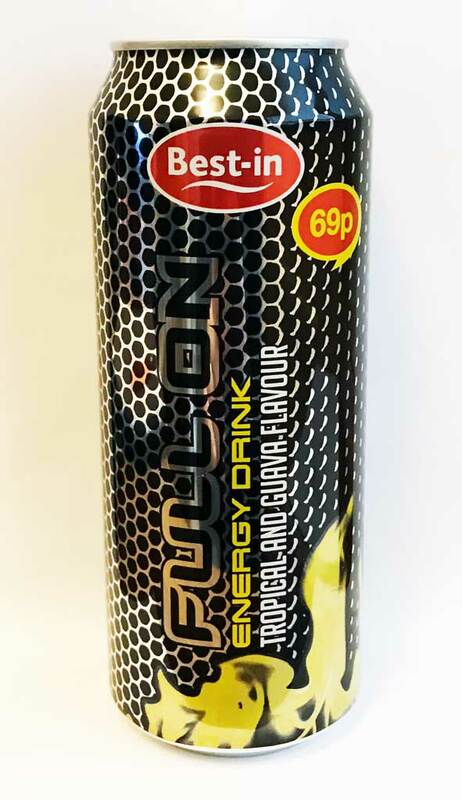 As I always say (or do now), there just aren’t enough drink names starting with the letter F. And this one only cost me 25p (ignore the can’s printed price point!) for a massive 500ml can. This drink tastes pretty good for a tropical blend – it was sweet, not overpowering at all, and not too sickly which is an important quality for a large can of drink. I’d buy it again, which is rare for me to say about tropical drinks! I’m now keeping my eyes out for other Full On flavours – so far this is the only one spotted in the wild but I imagine there must be an original around too.